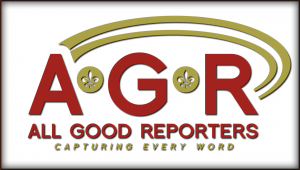 All Good Reporters is a Communication Access Real-time Translation (CART) provider. We work with organizations to help them to communicate with individuals who suffer from varying degrees of hearing loss. Often, loss of hearing can be attributed to impairment of the inner ear, aging, or exposure to excessively loud noises over time. A viral infection, like measles or mumps, can also cause hearing loss. Other times, people are born with hearing loss. In the United States, almost three people out of every 1,000 are born with some level of hearing loss. Hearing loss can be quite debilitating to an individual, and it can be challenging to manage. And it not only affects the individual, but it also affects those around them. As challenging as it may be, you are not alone. Hearing loss affects approximately 48 million people throughout the United States and seeking support is highly recommended. Learning to manage hearing loss will help you navigate through this new chapter, and there are many resources available. “A Comprehensive Guide to Hearing Loss,” is a great resource that we recently came across where you will find information that helps seniors and their caretakers identify the warning signs of hearing loss, prevention, while also addressing how to talk to seniors about hearing loss. Additionally, it provides information regarding different types of hearing loss, how to use non-verbal cues, and how to find a community filled with others who are experiencing the same ailment. The guide can be found at https://www.aginginplace.org/hearing-loss/. Some non-verbal cues highlighted in the guide are leaning in closer to hear better, cupping your hand around your ear, and pointing to the ceiling to indicate loud noise. People around you should also consider familiarizing themselves with non-verbal cues to better the communication between each other. There is also an abundance of local hearing loss support groups, online groups in forums and chatrooms, and more importantly, in-person meetings where you can obtain local information on how to cope with hearing loss, learn which doctors to visit that best suit your needs, and how to meet other people who are or have experienced a similar situation. There is a lot of help available to you as you learn how to adapt to this new challenge. Leaning on individuals who specialize in accommodating those who experience hearing loss, as well as your friends and family, will help prepare you for the upcoming challenges you may encounter. They will allow you to create a solid foundation for your support system as well. Overall “A Comprehensive Guide to Hearing Loss” is a valuable tool to keep in mind when questions arise. The guide will help lead you in the right direction as you take either your first step or your next step to learning and understanding hearing loss. 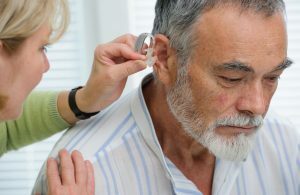 For more information about hearing loss, navigate to https://www.aginginplace.org/hearing-loss and if you are in need of CART or captioning services, visit us at https://allgoodreporters.com.